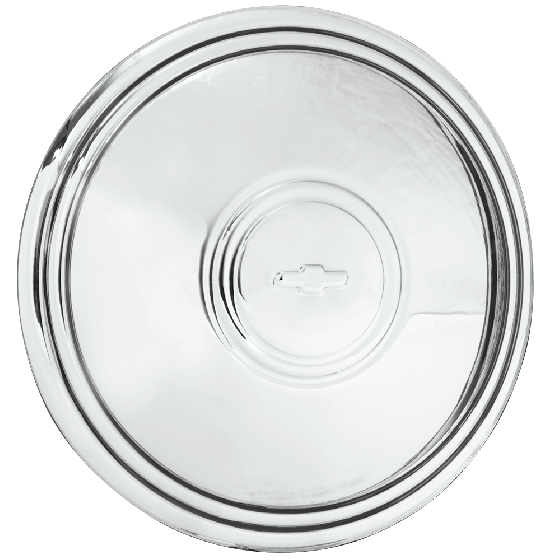 Chevrolet Bowtie Police Cap For Smoothie | Stainless | 7.5" Back I.D. A classic Police center cap gives your steel wheel a no-nonsense classic look that’s growing in popularity. These classic Chevy police car center caps feature the bowtie emblem embossed in the center of the cap. 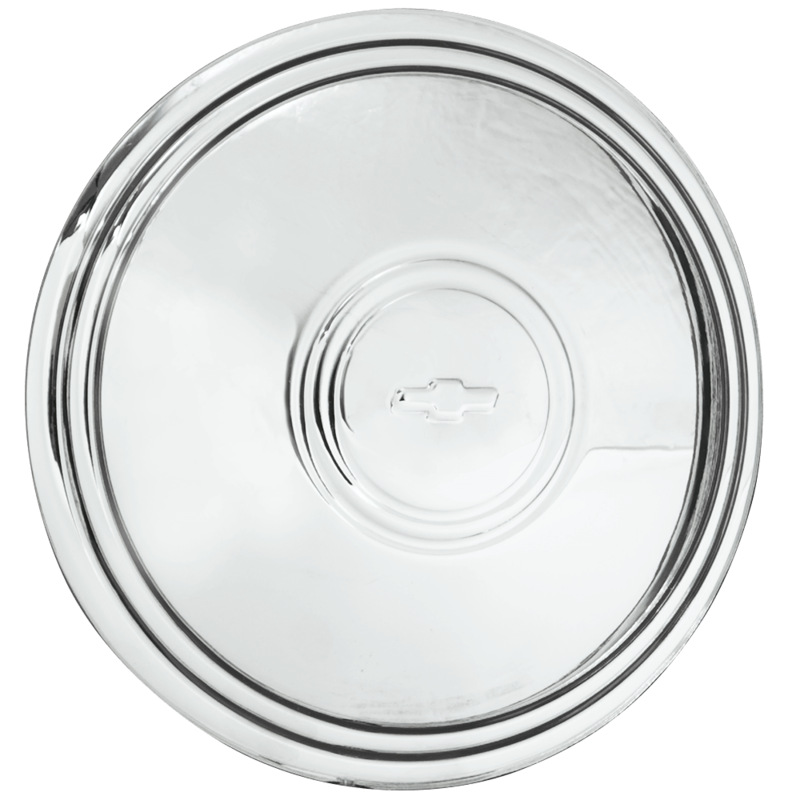 This is a Stainless Chevrolet Police hubcap with a 7.5" back inside diameter. The 7.5" back inside diameter fits our Artillery wheels and 14"-16" Smoothie wheel sizes. Please check your actual wheels for the required cap fitment size. Coker Tire Company offers a huge selection of aftermarket hubcaps and wheels for collector vehicles.